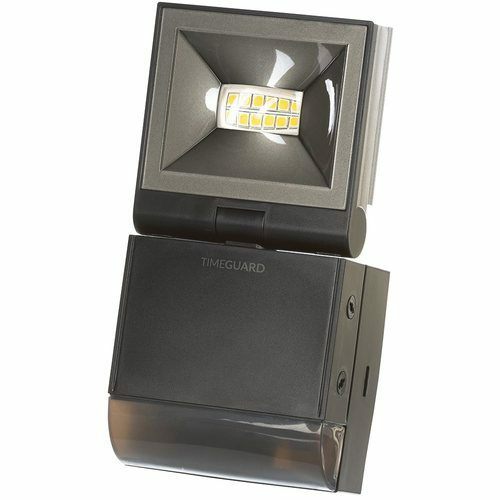 Timeguard have upgraded the popular LED100 series of LED Energy Saving PIR Floodlights with even more benefits and features. With a compact design, greater lumen output and of course our Fast-Fix pin connection for quick installation, the new LED100 range is a quality choice for new and existing installations. 1x 10W Powerful LED compact PIR floodlight. 1x 840lm lumens bright white light. KnightsBridge IP65 Adjustable Low Energy LED Security Flood Light Black Aluminium. KnightsBridge IP65 Adjustable Low Energy LED Security FloodLight Grey Aluminium.